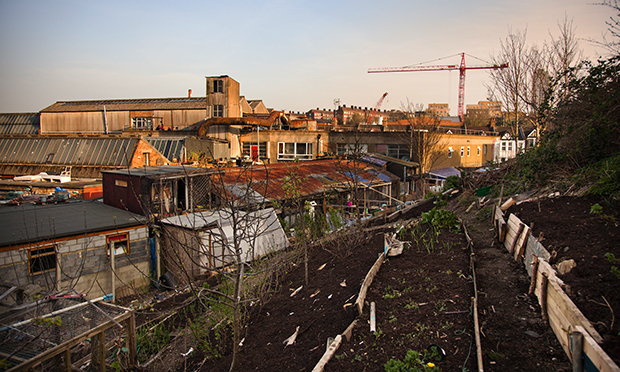 What is the future for Harringay’s warehouse district? “Artists and African churches always move in at the same time,” says Ellis Gardiner, as he describes how he arrived in what is known variously as the Manor House or Harringay Warehouse district in 2000 with plans to set up a recording studio. Fifteen years on, we are sitting in the ground floor of an old Courtney Pope building on Eade Road – part of a sprawling industrial site consisting of around 322 units across 42 sites. Once the area’s major employers in the shop fitting business, Gardiner and others have transformed the building into the New River Studios, comprising a recording studio, affordable office space and a café. Rising above the other side of Seven Sisters Road is a glinting totem of plate glass that is Hackney Council’s flagship development Woodberry Down. The cross-subsidising model of Berkeley Homes’ mammoth project – where luxury penthouse flats are sold to fund the building of new council homes – is an increasingly popular one among cash-strapped councils. Walking around the warehouse cluster the Berkeley tower pokes up above every chimney turret and single storey factory, a constant reminder of top-down regeneration and the steady spread of capital inching up from Shoreditch via Dalston and Stoke Newington. Shulem Askler began buying up property on Eade Road in the nineties, when the ‘rag trade’ fell into decline and Harringay’s smaller textile factories accommodating Greek and Turkish dressmakers, sewers, packers and button makers began to close. His company Provewell Ltd now manages around 70 per cent of the warehouses in the area on behalf of its owners (mainly offshore investors). Beginning with blank slates (“They had no bedrooms or doors,” laughs Askler) these industrious new tenants designed their own homes and workplaces. Other than a few rogue ‘architectural nightmares’, many are spaces that could grace the pages of interior design magazines; vast communal spaces decorated with projector screens, pool tables and wild plants, daring staircases and the obligatory space-saving mezzanines. Gardiner – something of a warehouse everyman – is also a leaseholder on a former Fed-Ex warehouse appropriately named Ex-Fed, home to around 25 people. “It’s like a vacuum, creative people just flood in,” says Gardiner. Now more than 1000 people live here. Hundreds of self-employed artists, makers, musicians and entrepreneurs have set up shop inside the live/work units. An internal Facebook group, fiercely guarded by its administrators, is a good place to view the micro-economy in action. Services and jobs are advertised, alongside parties and odds and ends for sale. Organisations like Haringey Arts work to connect artists with each other and provide a legal framework for those looking to apply for arts funding, while events such as May’s InHouse Festival offer a jam-packed programme of film, music, theatre and art held over six warehouses venues. All this was bubbling away nicely until a Haringey Council officer visited one of the units on Hermitage Road in summer 2013 following a fire and was shocked to discover bedroom after illegal bedroom tucked away in an industrial unit. Despite the fact tenants had been paying council tax for over 10 years, the authorities were apparently unaware of the scale of the residential use. Initially Haringey Council went in guns blazing and requested £660,000 to tackle “unauthorised living in industrial areas”. One councillor described the warehouses as “cramped, cold, unsanitary and dangerous”. 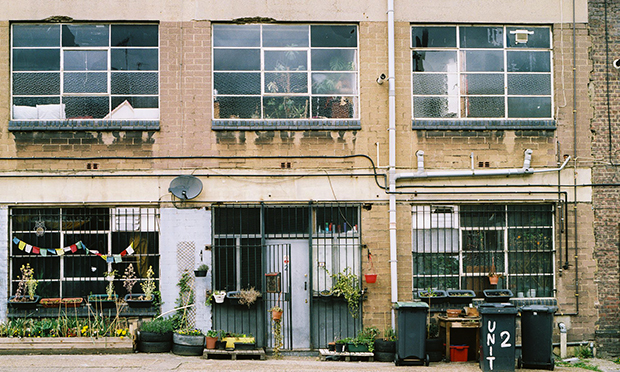 This might be what beckons for Hackney Wick, just a few miles down the River Lea, where the artist community has never tried to officially change its use from light industrial to residential or live/work. As developers put in gigantic planning applications, artists are working out their notice period in leaky studios with nothing but vague Section 106 promises of “affordable workspace”. Going for legitimacy might mean the council makes you put banisters on the staircases, but it also offers protection. 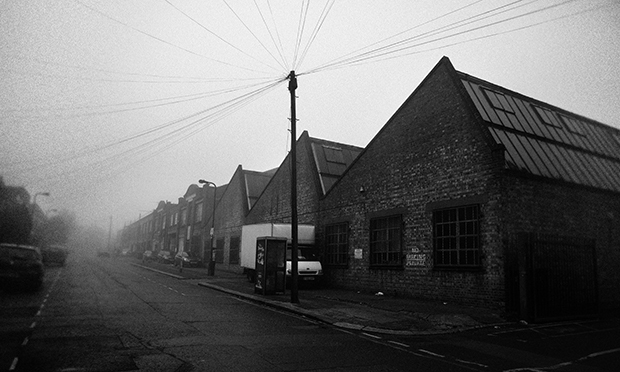 While the council’s decision to draft a warehouse policy is generally thought of as “pretty progressive, for Haringey”, many of the residents – especially those familiar with the implementation of City Hall’s London Plan – express concerns about the council’s strategic policies to bring back the employment function of the area. This means big change. Local historian and founder of online forum Harringay Online Hugh Flouch says the boom and bust story of the British Industrial Revolution can be read in the history of this sprawling site. Except it is not just residential. The site is already home to the kind of burgeoning creative industry that the council says it wishes to create. The judge in the enforcement case at Ex-Fed recognised Provewell’s point that under the current occupation the building was generating a higher level of employment than when it had been used for its lawful purpose. But while it is easy to point the finger at the wider market for the rent rises, the internal organs of the warehouse district are not immune from profit-motives. Within the tangled power structure some ‘bad apple’ leaseholders are taking a less than positive artistic licence and making big bucks by squeezing bedrooms into former communal space. Gardiner, who is a leaseholder himself, says: “It’s a problem, and it’s not sustainable.” W.H.A.T. hopes to tackle the problem by starting a housing cooperative together with Provewell and taking on units themselves. 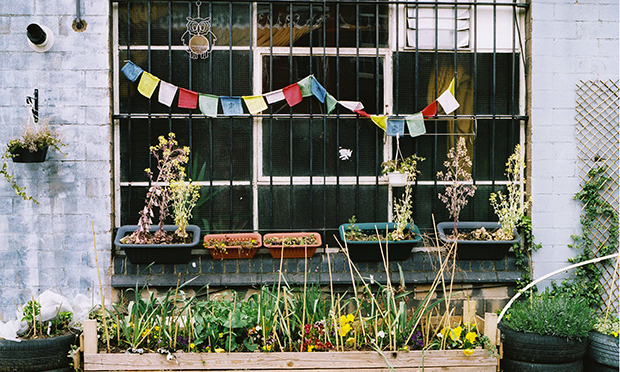 Using Haringey Arts as a vehicle to connect with its tenants, Provewell has invested £50,000 in the area’s external appearance. A huge hand-made light-up sign shaped like a cotton reel reading ‘Artists’ Village’ hangs over Overbury Road. There is also a heat-reactive mural depicting both the dystopian and utopian elements of warehouse life which turns opaque when you place your hands on it, and a QR code bookshelf encouraging passers-by to download a warehouse-recommended read. It’s not an ecosystem that’s seen in privatisation policies,councils are held to ransom.The drive from economic profiteering in 2008 forced cuts and these people are ruthless in pursuit of profit .Survival is another issue,expression is also. I am the only small independent Freeholder in this area . 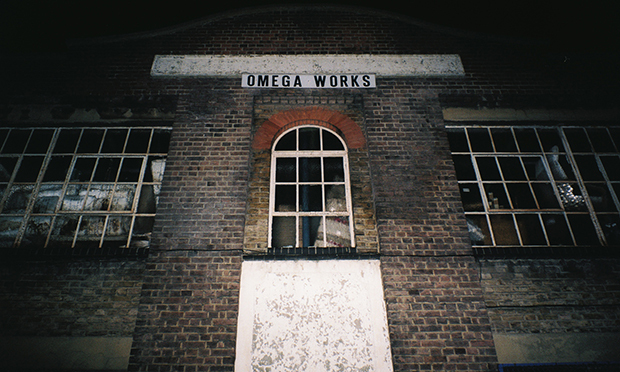 I own 10a-d Omega Works . I first moved to Omega Works in 2000,and bought the Freehold with my former Business Partner in 2002 . The attempts by both Haringey Council and these so called Art Philanthropists to harass me on a continual basis over the last 10 years has been appalling in their attempts to purchase my property . The former Tenants have colluded with Mr Shulem and Haringey Council , in their various attempts to force me out . I believe Mr Shulem and Haringey Council will be working together to achieve their goals . Perhaps your contributor’s would like to pay me back the rent that they owe me ,to date and compensation, for their continual harassment and obstruction .. Jacqueline Hancher ,10a-d,Omega Works,167 Hermitage Rd,London N4 1LZ. Since when has a profit driven nasty developer such as Provewell Ltd and Shulem Askler become the good guy? Some basic confusion about how money is being made on the back of society.